Film stars entering politics has been the common phenomenon for many decades in the country. This trend is more in south where people used to worship stars as demi gods. This resulted in actors like NTR, MGR, Jayalalithaa, Karunanidhi and others entering politics and ruling the states unopposed. Even though south stars are showing interest in politics, many top stars from the south are showing their aversion in general. Rajinikanth and Kamal Haasan are trying their luck in Tamil Nadu politics and Pawan Kalyan is doing the same in Andhra Pradesh. This despite his brother Mega Star Chiranjeevi burning hands with Praja Rajyam. In the midst of all this other south stars expressed their disinterest in politics. Rumors spread that Malayalam super star Mohan Lal would enter politics. However he rubbished the rumors saying he is not interested in politics. 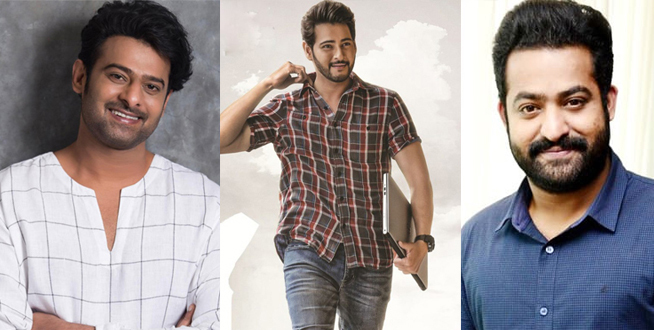 Names of Ram Charan, Allu Arjun, Mahesh Babu, Nagarjuna, Venkatesh, NTR, Prabhas to support any of the parties in the upcoming elections did rounds but all of them rubbished the rumors. However rumors about their political entry come up now and then as their families are associated with one or the other political party either in the state or at the centre.